At the very core of our company, is a commitment to high-end hospitality. You create the lasting memories, we'll take care of the rest. So you're planning to take a vacation or business trip to Jamaica and seek a comfortable and affordable rental apartment to enjoy the home-away getaway in paradise. Are you concerned about security? No problem mon!!! Prohomes Jamaica Vacation Rental cover dat. Are you concerned about comfort? No problem mon!!! Prohomes Jamaica Vacation Rental cover dat. Are you concerned about modern domestic amenities? No problem mon!!! Prohomes Jamaica Vacation Rental cover dat. Are you concerned about cable/phone/Internet services? No problem mon!!!! Prohomes Jamaica Vacation Rental cover dat. Are you concerned about warm customer service??? No problem mon!!! Prohomes Jamaica Vacation Rental cover dat. Are you concerned about affordability? No problem mon!!! Prohomes Jamaica Vacation Rental cover dat. Are you concerned about access to transportation??? No problem mon!!! Prohomes Jamaica Vacation Rental cover dat. Are you concerned with access to businesses??? No problem mon!!!! Prohomes Jamaica Vacation Rental cover dat. You are in luck as ProhomesJa specializes in short-term vacation rental units in Kingston and other parts of Jamaica. We worry about all your needs so you don't have to. Having a comfortable and affordable vacation apartment is a must...whether you are from Jamaica and returning to reconnect with family and friends, or a tourist travelling to Jamaica to conduct business or experience the land of reggae music, and record-breaking world class sprinters!!! ProhomesJa currently boasts some of the finest affordable private villas and vacation rentals in Jamaica, with emphasis on quality, security, comfort and location. Our home-away units in Kingston are strategically situated within walking distance from shopping and business centres. So you're always a hop, skip and a jump away from the finest restaurants, shops, cultural centres and Jamaica's enchanted and colourful night life; now there's no way you'll miss out. Our vacation homes in other parts of Jamaica are just as well positioned. So you might be wondering "how can I be sure that the vacation rentals advertised are legitimate?" Everyone is concerned about being scammed. ProhomesJa inspect all properties listed on our website and all owners are verified. In addtion, your payment is not released until after you check into your vacation rental. We want to assure you that, because this process is in place, it is not possible for scammers to list on our website. The only way you become unprotected by prohomesja is if you were to move a transaction offline of our website. Never make payment directly to owners using a money order or wire transfer. Book your vacation with prohomesja, this way you will be sure that your money is safe. Wouldn't you rather experience all the comforts and exclusivity of a vacation home instead of the conventional hotel? Don't confine yourself to a hotel room when you can be surrounded by the comfort, luxury and safety of a vacation home. As the leader in extended stay furnished apartments, ProhomesJa offers the largest variety of Jamaica's most stylish and affordable short term furnished rentals. From traditional to contemporary, all residences are conveniently located and specially appointed to complement your lifestyle and budget. Our vacation homes are supplied with high quality bedding and linens, contemporary and comfortable furnishing; fully functional kitchens fitted with modern equipment; full bathrooms; air conditioning; hot water; and designated parking as standard. We also offer high speed wireless internet services as well as a loan-a-mobile-phone service. Choose what suits you best; you may never want to leave! Those who have included us in their vacation plans to Jamaica have all agreed that the only thing missing from our short term rental vacation homes is you!!! At prohomesja we know it's the little touches that make all the difference, so you can expect great service always... no problem! 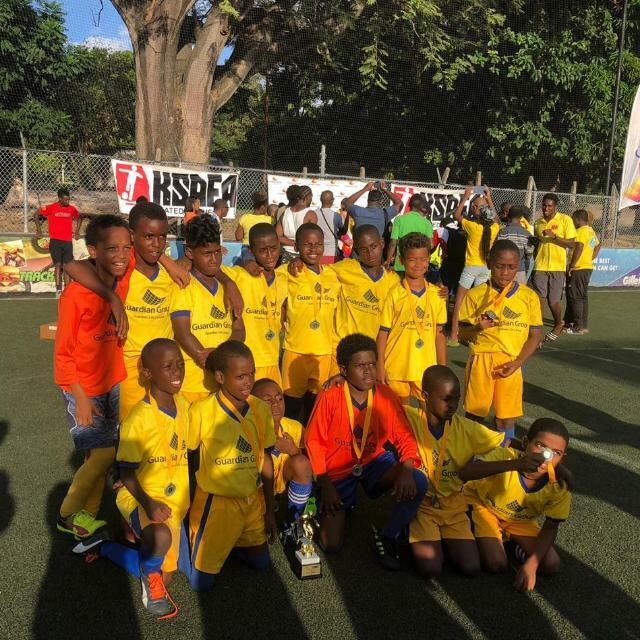 Prohomesjs is assisting The Harbour View Football Club to raise funds to take a team of children to participate and experience playing football at the highest level in Europe. For many of these kids this is the first time they will be travelling outside of Jamaica and we hope such an experience will positively shape their lives. This competition will be held in Hungary in August 2019. Lets stand with our boys and wish them well in thier competition in Europe. Vacation home owners contact us and find out how to turn your second home into a five star vacation home.